HomeBlogHome DecorModern Ribbon Staircase by HSH Architects. 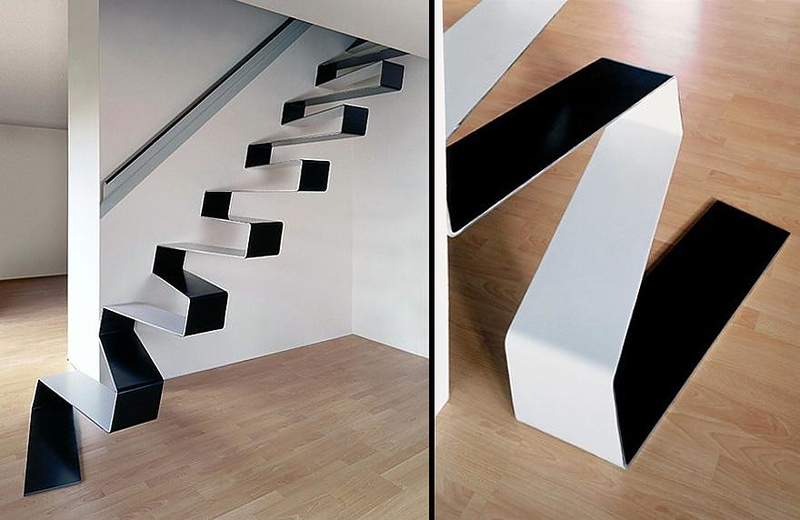 This modern, beautiful and unique staircase is located in the main living area of a house in Liben, Prague, Czech Republic. It was designed by HSH Architects and the design was inspired by a rippling ribbon. 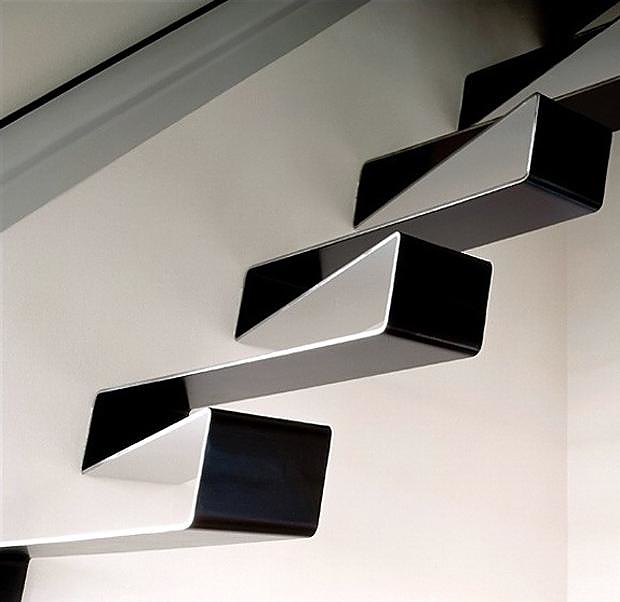 Floating staircases are ideal for modern interiors, as they look stylish and elegant. 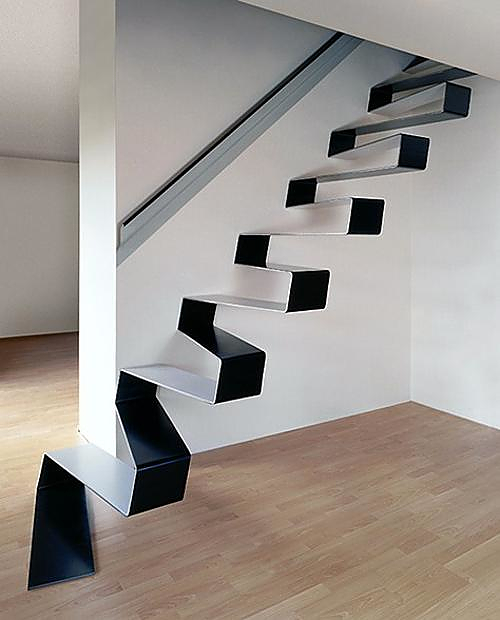 The Ribbon Staircase by HSH Architects is a fine example of a minimalist floating staircase. 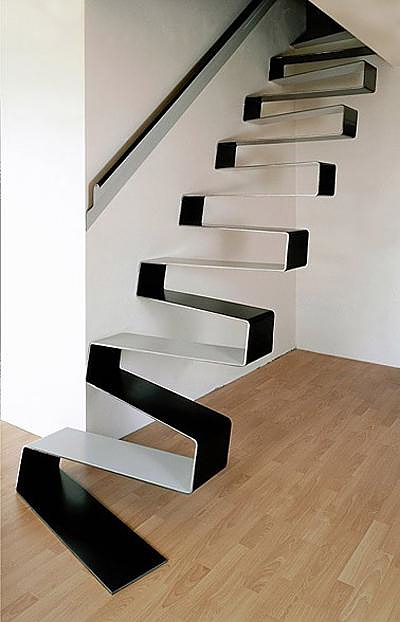 The staircase was awarded the Certificate of Merit in the grand prix of the Czech Society of Architects in 2002. 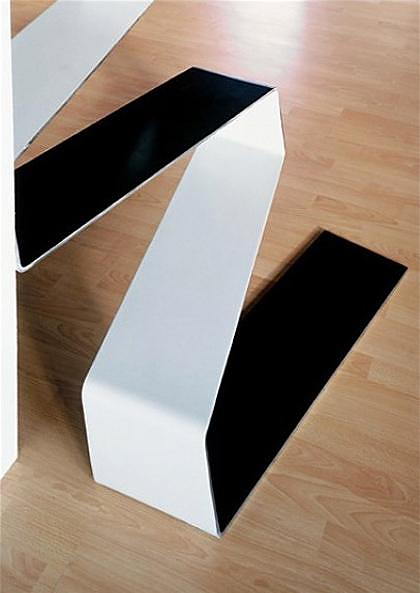 It is constructed from 10mm thick sheet metal, and pairs of adjoining steps connect with an external side joint that forms a bracket anchored to the wall. According to HSH Architects, the Czech based architectural firm that designed it, it may look fragile but it is not fragile at all, as it features a well thought mechanical design. Each bracket is constructed as a rigid frame, the higher steps bear most of the weight, while pressure is transmitted through the lower steps.